One of the first orders that Vladimir Putin signed as president instructed the government to “remove state investment from non-energy sector companies” by 2016. This included companies such as the United Aircraft Corporation (UAC), the United Shipbuilding Corporation (USC), and Rostechnology. This order was no accident: literally one week later, Putin demanded that Rostechnology prepare proposals to privatize the assets of this state-owned corporation within the space of a month. If you think about it, this is a very odd piece of news. UAC, USC, and Rostechnology are not old companies like, for instance, the Federal State Unitary Enterprise, tucked away in state-owned silos since the Yeltsin era. These are companies that were created by Putin in 2006-2007 and headed, in a number of cases, by his close friends. In many cases, private enterprises were incorporated into these companies in a way that was, more or less, violent. And the government declared that these enterprises held an important strategic purpose and should therefore be nationalized. And now after 3-5 years it turns out that they should be privatized again. You know, only one of two things is possible. Either the government advocates a socialist ideology, in which case it nationalizes companies like Salvador Allende, or it advocates a market ideology, in which case it privatizes them like Margaret Thatcher. But if the government first takes companies from their owners and then privatizes them again, it means that it isn’t advocating either ideology. That means it’s just stealing. So UAC, USC, and Rostechnology are not state companies. They are just an instrument with which private companies are taken from their owners and given out to Putin’s friends. Take, for example, UAC. Until it was created, the country had to deal with the difficult but necessary process of self-organizing the aviation industry. The weak companies died off, and then the country found itself with a few strong aviation companies: the company Russian Avionics, or Irkutsk Aviation Factory, privatized by management and having fallen on the procurement for the Su in India, which they themselves modernized. After UAC was created (in November 2006), this process was interrupted. The owner of Irkut, Aleksei Fedorov, was made a proposal he couldn’t refuse: to transfer his private shares to the state, but head the entire company. Fedorov agreed. The main force behind the pressure on the corporation was Mikhail Pogosyan’s Sukhoi Superjet 100 project. The Superjet turned out to be a super vacuum: the plane’s development cost, according to experts, around 7 million dollars, as opposed to the 1-1.5 million dollar estimates from its competitors. The plane was three years late and turned out to be three tons heavier than promised, but, clearly, from the point of view of the “economy of ROZ” [Stanislav Belkovsky’s characterization of the corrupt nature of the Russian economy – ed. ], the project was successful: Fedorov left, and Mikhail Pogosyan took his place. Or take another instance – the company AVISMA. In 2006, Russia’s largest titanium producer was purchased by the predecessor to Rostechnology – Rosoboronexport – with a 30 percent discount and market quotations of around 1.2 billion dollars. This was preceded by a rather dramatic story. Sixty percent of AVISMA shares were divided equally between its two owners, Tetyukhin (“the red director”) and Bresht (“the young financier”). Another 13.4 percent of AVISMA shares belonged to Viktor Vekselberg, and between Vekselberg and the owners there was an agreement about “Russian roulette,” and it was specifically stipulated that when the company was purchased, nobody could borrow money from their own bundle. Allow me to remind you that “Russian roulette” in this context is when you can propose that another owner buys his share at a certain price, and he in response can buy from you at the same price per share. In May 2005, Vekselberg, having waited for an opportune moment in the market and thinking that AVISMA had less money than he did, offered to buy 60 percent of AVISMA at 96 dollars per share, which was, to put it lightly, inexpensive. 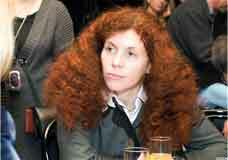 However, Bresht and Tetyukhin refinanced through Renaissance and bought from Vekselberg instead. Clearly, the oligarch found this insulting, and appealed to [Russian businessman Sergei] Chemezov. After that, the state suddenly discovered that AVISMA was a strategic company that should have belonged in the state’s coffers. Bresht and Tetyukhin were offered 700 million dollars for their bundle; they asked for 2 billion. The matter went all the way to Putin. Putin supposedly said: “Pay them, so there’s no scandal.” But the ones who had taken AVISMA didn’t want to pay up: Bresht was supposedly called to the carpet of then-FSB head Patrushev, who, obviously, was at that moment the main arbiter to determine the price of companies listed on the market. In the end, the case was settled in the middle: Bresht and Tetyukhin gave away their shares and left Russia, and you can’t say that 1.2 billion dollars is so little money. But you also can’t say that they would have sold any shares at that price in a sound state of mind and with a solid memory. And now Vladimir Putin is signing an order to privatize state companies that were created 6 years ago. You have to agree that it turned out oddly. It’s not hard to guess that if the UAS assets are privatized that it could easily happen that the state would remain with the cost of developing the Superjet but that future profits from its sale will end up in the hands of future owners of its assets. Or look again at AVISMA. Six years ago it was taken into state coffers (on credit from state banks) as a strategically important enterprise, and now they’re selling it again? The presidential order is just a continuation of the 180-degree turn in Putin’s economic policy going on before our eyes. Not long ago, all traders – let alone foreigners – were kicked out of the gas sector. And in March 2011 they sold 20 percent of Novatek to the company Total. Also recently we kicked Shell out of Sakhalin, and now Rosneft and Exxon have signed a cooperation agreement, rather similar essentially to what Mikhail Khodorkovsky was suspected of being prepared to sign. In principle, this is how rulers behave whose thrones are tottering and who are worried about legalizing loot through privatization and through buying shares in the loot with foreign companies.